If you drive a Toyota, you drive a car that is found universally across the continents. That’s why choosing the appropriate Toyota scan tool will help to troubleshoot your vehicle. 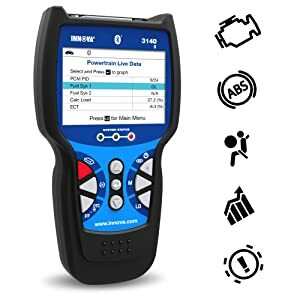 There are a lot of scanners on the market today, and as a vehicle owner, you want to make sure you are using the correct tool for your engine. Therefore, finding an OBD scanner is an easier process since most scan tools are compatible with Toyota makes and models. These Japanese made vehicles are notorious for being efficient which helps cut costs for manufacturing and ensure functionality for different scan tools. To make the scan tool buying process easier, I have compiled a comparison chart which helps outline the different scan tools that work well with Toyota vehicles. 4 Where is the Toyota Diagnostic Port? Chose for yourself! Using the comparison chart and the OBD1 Scanner reviews, you can find the best fit for you. This Auto Scanner is an advanced tool, but still has the user-friendly interface for a DIY user. 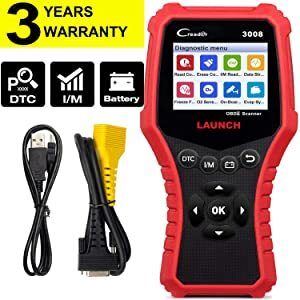 Its an OBD1 and an OBD2 scan tool that can read and clear check engine lights, record live data, diagnose engine codes, check ABS or SRS lights, help with oil reset or battery reset. However, buyers should know that some users have complained Innova claims coverage for vehicles, but it isn’t always accurate. With Bluetooth functionality, you can receive the trouble codes straight to your phone to quickly begin uncovering the engine problem. Innova is also a team that is paired with RepairSolutions, a service that is online to help connect you with technicians of all levels that will give fast and easy solutions. Innova 3140g works well with OBD1 adapters. After an oil or battery change, you will have access to oil light reset as well as battery initialization to make sure everything is working at top performance. OBD1 and OBD2 compatibility- If you have an older Toyota, this device can read both sets of codes. User-friendly-Even though its an advanced tool, any user can figure out how to use it. Repair Help- with RepairSolutions, you have virtual technicians at your disposal. Not Updateable- After a certain point, this device becomes obsolete for certain vehicles. Lack of Compatibility- Although Innova claims they have a wide coverage for certain makes and models, this device doesn’t function for everyone. For OBD2 codes you can trust this device will help diagnose any foreign or domestic made car from 1996 and newer. For older vehicles with OBD1 functionality, this device pairs with vehicles from 1982 to 1995. Actron is a popular company in the scan tool diagnosis world of automotive. With the CP9690 AutoScanner, you will be guaranteed advanced features perfect for technicians or DIYers. Some more enhanced features include reading and clearing manufacture specific codes, which is great for Toyota engines. You will also be able to graph live data, look back at previously store vehicle data, have access to ABS and Airbag display and receive top solutions for repairs. 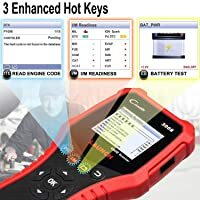 This device features a CodeConnect hotkey which gives you access to the most likely solution for your engines problem verified by experts. CodeConnect is a wonderful manufacturer specific resource which can get you to the root of your vehicles problem. When working with Toyota engines, you may be able to compare engine problems with other users who have similar issues. It is not a Bluetooth device, but instead works with USB or can be battery operated. A large, color display screen plus additionally hotkeys give the interface an easy-to-use navigation set up. It is updateable so this tool should continuously help keep vehicle information accurate. Advanced features of CP9690 in compared to other Actron products. CodeConnect- A great way to connect with technicians who have repair solutions. User-Friendly Interface- with a large screen and hotkeys, this device is easy to navigate. Updateable- You don’t have to worry about your device losing its purpose, with updates you can keep diagnostics accurate. Not always compatible- For older vehicles, it’s always difficult to find a scanner whose functions work with all cars, Actron can’t guarantee compatibility. With Actron Scan tools, the company guarantees technology that works with every OBD2 compliant vehicle from 1996 to newer. The CP9690 is also unique to offer an OBD1 cable that works with 1984-1995 GM, Ford, Chrysler, and Toyota vehicles. The Innova 31703 CarScanner is unique with its all-in-one screen display. The setup looks more like a futuristic touch screen mobile device than an auto scanner. With this device, you will be able to read and erase DTC codes as well as ABS and SRS codes. Additionally, you will gain access to live data graphing in order to display, record and play live information from your engine. As well, freeze frame technology gives you a snapshot of exactly when a problem occurred. Easy-to-navigate- With a large display screen and keys that lead exactly where you need, even a beginner can use this tool. RepairSolutions- All Innova devices come with access to RepairSolutions to help assist you during reparations. Engine and Transmission Codes- You are not limited to just engine codes, you will also be able to read and clear Transmission codes. Monthly Membership Fees- In order to gain access to all the information you need, Innova charges a fee. The Innova 31703 works to retrieve both OBD1 and OBD2 trouble codes. 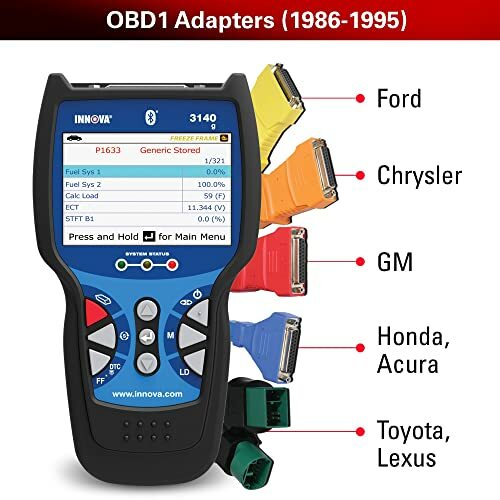 To retrieve OBD1 codes, this device works with the most popular vehicle models from 1981 to 1995, which includes Toyota. 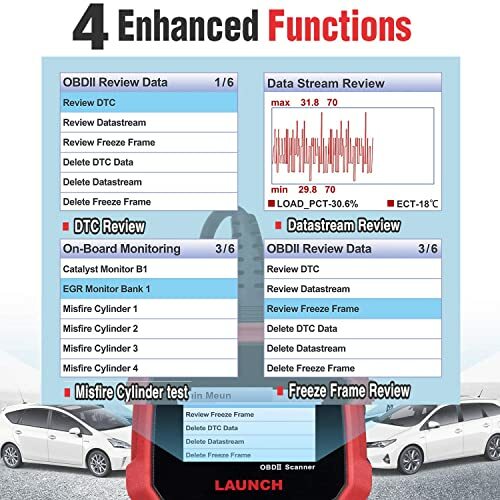 For OBD2 you have more access to features and functions from vehicles 1996 and newer. Read these reviews to make the decision for yourself. 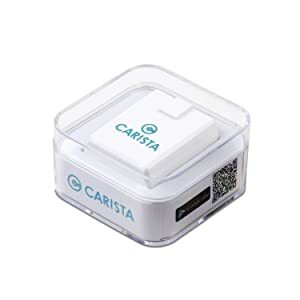 Carista is a very compact OBD2 scanner that you can plug into the port of your vehicle and diagnosis from your mobile device. With Carista you have basic OBD2 functionality all within the confines of an application. Reset your check engine light and discover the meaning of the engine trouble codes in clear English terminology. For some supported models and for a few extra dollars, you can have access to customizable features in your car. If you want to really make your Toyota your own, Carista allows you to customize settings that will make your car individual to you. Customize settings- Uncover hidden features of your car while making it comfortable and special to your liking. Additional Cost for App and Features- You think you are getting a deal for $20, but that only covers the cost of the adapter. You can check the compatibility of your vehicle with the Carista team before purchase. The Advanced features and customizable functions are only available for select models of cars, including Toyota. That’s why this is one of the best toyota obd software. Carly can read all ECUs for Toyota makes and models. 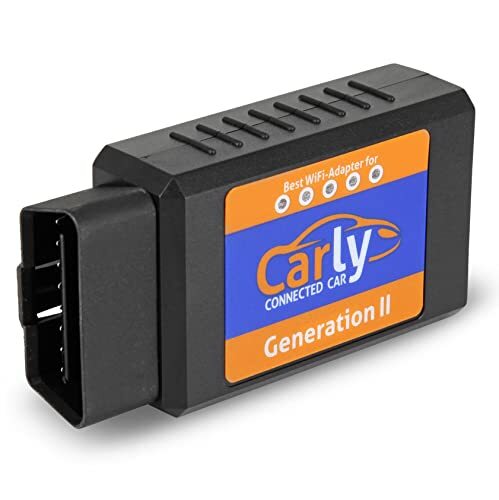 Similar to Carista, this is a handsfree adapter that works with an application on your mobile device to run car diagnosis. With this device, you should expect results written clearly for all users to comprehend. Since Carly users manufacturer specific features, you will get the same results with the Carly device as you would at the Toyota dealership. Carly is a small but powerful diagnostic tool. Handsfree- Diagnose your car from your smart phone. Additional costs- Every person who wants to access diagnostic codes must pay the additional costs for the application. Unclear directions- The support team and the website are written poorly so it is of no use. For older makes and models, this device is not compatible. 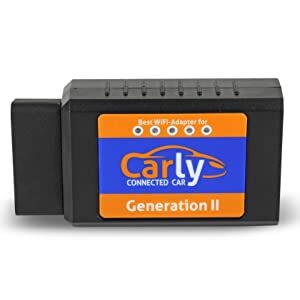 The Carly OBD2 Scanner works with Toyota vehicles from 2005 and newer. Autel calls this device a ¨plug and play” scanner because it is so simple to use, even for a beginner mechanic. This powerful automotive tool can help solve many engine fault codes and turn off the check engine light. With a large screen and speaker, this device gives you visual and audible cues about I/M readiness and other additional features. Determine the cause of your vehicles malfunction indicator light MIL with the advanced functions on the Autel Autolink. Clear and reset codes, view freeze frame analysis, display emissions or I/M readiness, view lives data and retrieve VIN and other vehicle information. This device comes with a one year warranty and free updates for a lifetime, which sets this device above all the rest. Reliable- Autel is a company notorious for their well-built, easy-to-use diagnostic tools. Updateable- With the purchase, you receive a lifetime of free updates which will keep information current and accurate. ¨Plug and Play¨- Even a beginner user can navigate the easy interface of this device, plug it in and begin diagnosis. Does what it says it will- Dependable and accurate information from the Autel team that ensures results. Short Cord- It is recommended to purchase the extension cord so you won’t be stuck under your vehicle during diagnostics. Autel is a highly reputable company that makes sure their devices have wide coverage of compatible cars. For all vehicles from 1996 and newer, this device can read OBD2 and CAN information from domestic and imported makes and models. This is an enhanced automotive tool that will make car diagnostics a breeze. The Launch CRP3008 is one of the top ranking diagnostic tools for its sleek design and reliability for all 10 OBD2 modes. With this device, you will have access to the most common error codes and the ability to turn off the MIL. Check the exact trouble spot in your vehicle’s engine with freeze frame data and graphical data stream. Additionally, you can check the O2 sensor, the EVAP system, and read VIN information from your car. This device includes more than 3100 DTC codes accompanied by their definitions with the ability to print any diagnosis you wish. Its user-friendly design has a large display screen along with hotkeys that allow for easy navigation. Comes with 3-year warranty and lifetime updates along with 24hr customer support. LAUNCH CRP3008 4 enhanced functions. Simple to Use- With an Economic and unique design, this code reader is great for even beginners. Reliable- The launch team is well-known for their products and customer support. Updateable- No worrying about your code reader going obsolete, this device promises a lifetime of updates. The Launch CRP3008 Toyota obdii scanner is compliant with all OBD2 compliant US made cars and trucks sold in the US from 1996 to current. This also includes domestic, Asian and European vehicles, plus a small handful of vehicles built in 1994 and 1995. Where is the Toyota Diagnostic Port? The fact is, for each make and model, you may find the diagnostic port is in a different location. Most Toyota vehicles from 1996 to 2009 have the diagnostic port located under the driver’s side dash panel. For most newer models, the OBD2 port will be found under the steering wheel on the lefthand side.